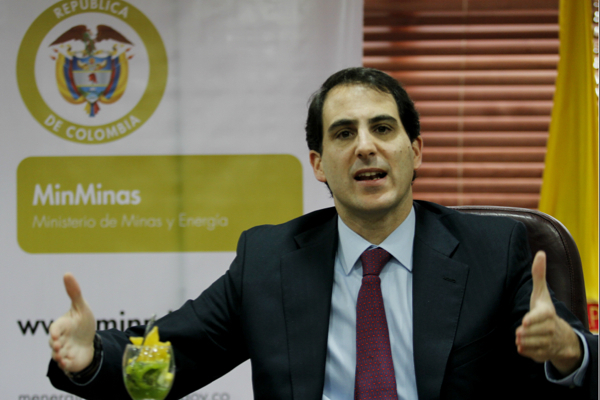 Tomás González, Colombia’s Minister of Mining and Energy. A “zero tolerance” stance when it comes to illegal mining and concrete attempts to expedite permit approvals, are part of the ongoing efforts Colombia is making to improve regulatory standards and encourage new investment in its key mining sector. Speaking to MINING.com during the Prospectors & Developers Association of Canada (PDAC) convention, the country’s Minister of Mining and Energy, Tomas Gonzalez, said the government’s objective is to establish a “strong, responsible and predictable” industry as soon as possible. To achieve that goal, his ministry has focused on tackling the illicit extraction of minerals. One of the first measures, he said, was preparing a series of new legal reforms already submitted to Parliament, which seek to curb the activity after seeing seizures of illegally extracted gold increase by over 6,600% last year. Data from Colombian Ministry of Defense, shows that authorities seized 739 kilos of illegal gold in 2014, compared to just 11 kilos in 2013. Just four years ago, in 2010, they seized no gold at all. Rebels and gangs, who operate in large swatches of the country, have been pushing villagers out of areas with promising mineral profiles, taking over small-scale local mines or warring over who will control gold-rich areas. Residents are caught in the crossfire. 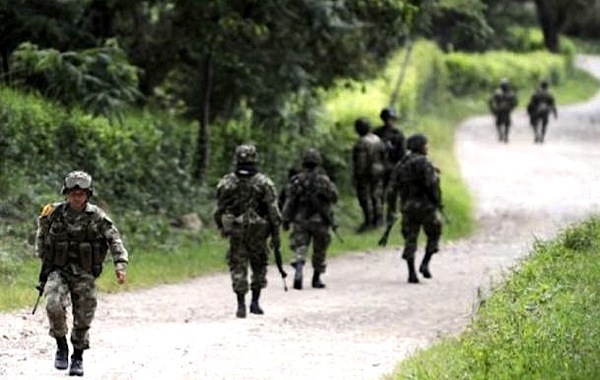 About 200,000 Colombians were driven from their homes in 2013, the latest year for which data is available, Consultoria para los Derechos Humanos y el Desplazamiento, a Colombia-based human-rights group, said last month. Gonzalez says while the government has been supporting those citizens, the best solution it can offer is to put an end to a conflict that has affected Colombia for 50 years. He added the government is confident that formal peace negotiations will be opened with the ELN guerrillas and a peace agreement with the larger FARC rebel group will be concluded so that, by the end of President's Juan Manuel Santos term in 2018, peace will reign in the South American country. Together with plans to expedite the licencing process, Colombia is tightening regulations to establish a project's area of influence in order to improve mitigation of environmental and social risks. Oral presentations will replace all environmental permit requests submitted in writing. In addition, environmental authorities will only be given a single opportunity to request information during the permit approval process. Last year Colombia changed its compensation rules when the state purchases or expropriates properties, in a move to expedite and ease the financial cost of infrastructure projects. The country holds vast and, until now, untapped natural resources of coal, gold, silver and oil.